Find below the list of top CISCE / ICSE schools in Hermitage - Darjeeling with phone number, address, 360° School tours, 2018-19 Admission forms & Fees, photos, facilities & more. Vidya Vikash Academy is located in Hermitage, Darjeeling. It was established in 1982. This school follows the ICSE board. The school has English medium. 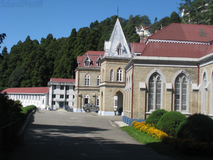 Loreto Convent School is located in Chauk Bazaar, Darjeeling. It was established in 1846. This school follows the ICSE board. The school has English medium. 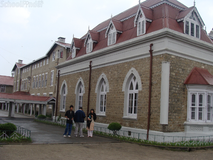 St. Joseph School, North Point, Darjeeling was established in 1888 by Fr Henri Depelchin a Belgian Jesuit priest. 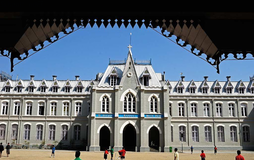 It originally opened at Sunny Bank in Darjeeling town on February 13, 1888 for eighteen boarders and seven day scholars and was subsequently shifted to its present location, North Point, on February 18, 1892. The magnificent edifice that is St. Joseph? was the brainchild of Brother Eugene Rotsaert and his team of two thousand labourers. This structure, with minor modifications, catered and adapted to the needs of the times and its expanding student body from an initial 193 boys to over 1000 students today. West Point School is located in Gandhiroad, Darjeeling. It was established in 1981. This school follows the ICSE board. The school has English medium. Bhadra Sheela Memorial Institutions is located in Nalbangaon, Darjeeling. follows the ICSE board. The school has English medium. Daisies School is located in Kurseong, Darjeeling. follows the ICSE board. The school has English medium. Bethany School is located in Chauk Bazaar, Darjeeling. follows the ICSE board. The school has English medium. 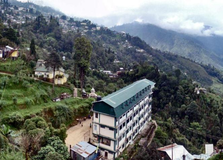 Camellia School is located in Dr. Zakir Hussain, Darjeeling. follows the ICSE board. The school has English medium. Sunrise School is located in Lebong, Darjeeling. follows the ICSE board. The school has English medium. Central School For Tibetans Bhanu Sarani is located in Bhanu Sarani, Darjeeling. It was established in 1961. This school follows the CBSE board. The school has English medium. You and your child deserve to be looking only at the top CISCE / ICSE schools in Hermitage - Darjeeling. We at Sqoolz, have created an all-encompassing list of best CISCE / ICSE schools in Hermitage - Darjeeling so that you can pick the one that is most suitable for your needs. Is the location viable? Is the school big enough? What additional facilities do they provide? Find answers to all the important questions with us. You can even take our virtual tour and see for yourself whether or not the school fits your child's needs.